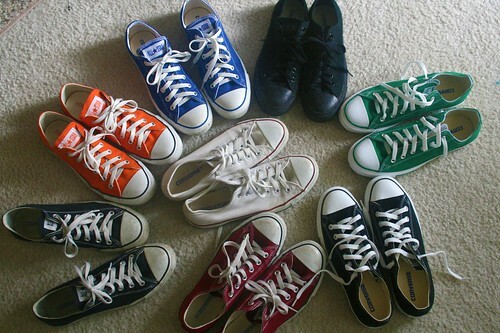 You probably thought I forgot about how way back in March, I put up a poll about what color Converse I should buy next. And I promised to buy the color that won the poll. A strange shade of green called “cilantro green” ended up winning the poll, and I was actually surprised, because green isn’t ever a color that I gravitate toward. 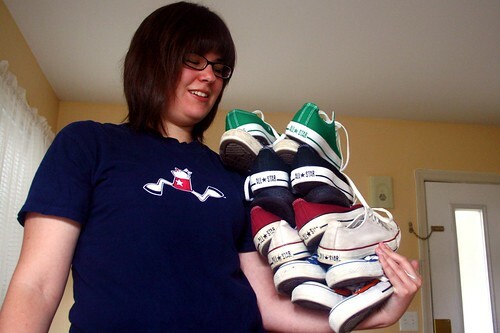 And I was all set to buy them, except … they were sold out in my size. And so were the second and third place colors, pink and turquoise. I wasn’t sure what to do, and I tried to find cilantro green in other stores, but it was only available at Delia’s. I figured it would eventually come back in stock, and have been checking probably once a week since, well, March. It just never happened. 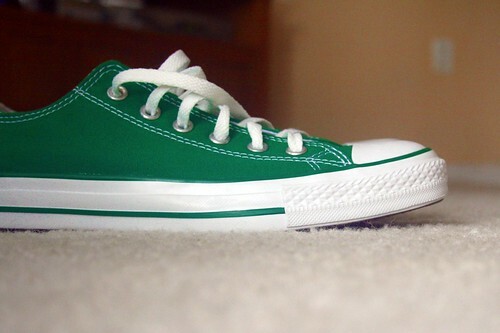 I was headed to the Converse outlet on Saturday afternoon to replace my black chucks, which have long passed the stinky phase and really needed to be replaced. 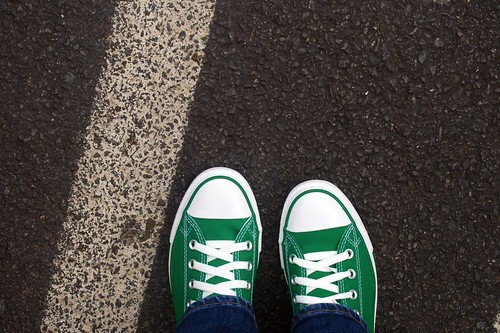 And just bought the green ones before I could overthink it for any more months. So now I have seven different colors, and while that probably makes me a bit crazy, I am pretty damn happy about it. This entry was posted in tales of my own stupidity. Bookmark the permalink. ← Week 38: The Craft Room!